When we think of beverages that can stain the teeth, red wine is often named as one of the primary culprits. However, researchers sand dental professionals have recently stated that even white wine can cause discoloration to the teeth. If you've been substituting white wine for red in order to help keep your pearly whites white, you might want to make a new plan. 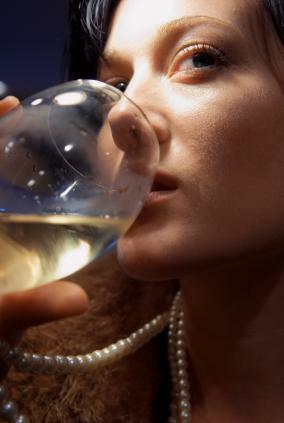 A recent study from New York University has looked at the effects of drinking white wine on the teeth. This study showed that white wine can cause both tooth stains and erosion. This is because white wine is highly acidic, and the acid will eat away at the enamel of your teeth. The end result can be grooves and rough spots that leave your teeth susceptible to stains from other drinks and foods. After you drink white wine, and your teeth are left at risk, it is especially important that you avoid foods that contain high levels of chromogens, which are pigments that stain the teeth. Tea, coffee, and berries are just a few examples of these items, and consuming them after you drink white wine will allow the pigments to travel deeper into your teeth. This could increase the chances of developing permanent discoloration that may not even be correctable with traditional whitening methods. If you cannot bear the thought of giving up your white wine, try following a few steps. Rinse out your mouth with water after drinking, and if you are going for a wine tasting, take breaks between sessions. By waiting for a couple of hours between drinks, you will allow saliva to form in your mouth so that it can neutralize the acid and re-mineralize the tooth enamel. Chewing sugar-free gum can also be beneficial, as chewing for 20 minutes can activate saliva to wash away debris. Please contact us if you have any questions about tooth discoloration.